Chelsea manager Jose Mourinho confirmed that John Terry's contract will be extended by another year at the end of this season. This follows the one-year deal the 34-year old Blues defender had signed in May last year. Terry joins the company of Eden Hazard and Branislav Ivanovic as the only three players to feature in the starting eleven of every game for the club in the 2014-15 season. Terry forms the spine of the Chelsea defense and it's his stellar role in that position and visionary playmaking that has catapulted the Blues to the top of the EPL standings. He also has been instrumental in his club's flawless progress in the UEFA Champions League, scoring one of the fastest goals in the season when he headed one home against Schalke 04 within 90 seconds of the start. In fact, Chelsea's vital away goal at Paris against PSG came from an attack initiated solely by its defenders. John Terry's run along the left and cross into the box to Gary Cahill saw the latter flick the ball for Ivanovic to head in perfectly to the top corner of the net in the 36th minute. John Terry is currently into the 18thy season with Chelsea and accepts the club policy of allowing only one-year extensions to players over thirty. Jose Mourinho lauded the Blues veteran’s spirit in taking this rule in a stride and as a challenge to keep performing better. Mourinho added that Terry more than earned his extension by sheer performance for the club. Joining Chelsea in 1998, Terry has racked up as many as 445 appearances for the Blues which is the third highest in the club's history. 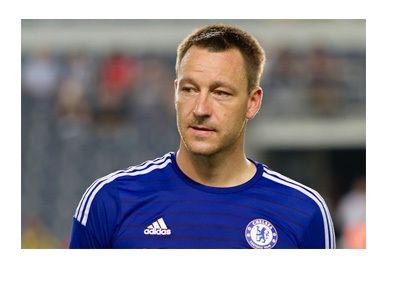 These long 17 years saw Terry honored with 3 EPL titles, 5 FA Cups and one UEFA Champions League title. Seems like he could be adding a few more to those within the coming year.